With the news earlier this month that newcomer New Britain, CT would play in the Atlantic League in 2016, it unfortunately meant a current league member would not, as the league is adamant about keeping an even number of franchises. Otherwise, the all-travel Road Warriors would have to be reintroduced, a situation the league has not been in since 2011, and one with obvious burdens the ALPB does not wish to re-visit. On October 21 it was announced the Camden Riversharks, after 15 seasons at Campbell’s Field across the river from Philadelphia, had ceased operations. While it’s exciting to welcome a new league member in New Britain, made possible by the Double-A Eastern League franchise that had been calling their ballpark home relocating to nearby Hartford, it’s nonetheless disappointing to lose the second-closest team to York and a natural rival from the league lineup. The Riversharks’ lease at Campbell’s Field expired following the season, and was not successfully renegotiated. Also falling by the wayside is the best setting in the Atlantic League, in the opinion of this humble writer, pictured above. 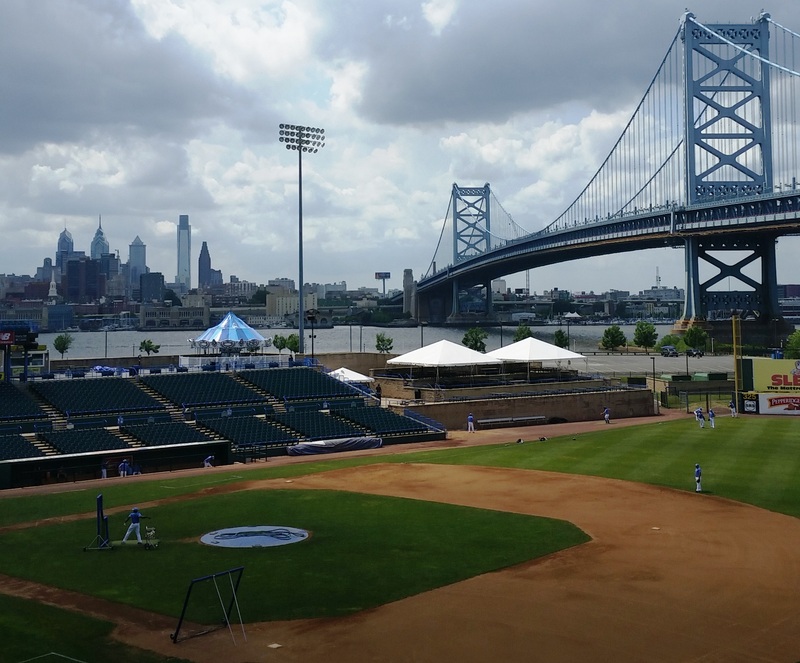 It was pretty cool to sit on the first base side at Campbell’s Field, where you get an awesome view of the Philadelphia skyline and the Delaware River under the Ben Franklin Bridge, which connects New Jersey and Philadelphia. It was definitely one of the best settings for a game in pro baseball. As this spring training marks the 20th anniversary of the end of Michael Jordan’s foray into baseball, and the misinformed ridicule that came with it, I was hoping time would’ve judged Jordan’s effort a little more kindly than the Sports Illustrated cover in March of 1994 showing Jordan missing a pitch, with the huge headline of “Bag It, Michael.” And this was merely an anecdotal photo of him whiffing on a pitch in an exhibition game, long before the completion of what I consider to be one of the greatest sporting accomplishments of the 20th century. 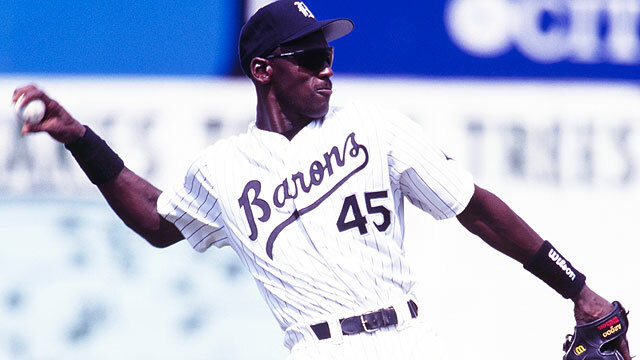 No, 20 years later Jordan’s spring with the White Sox and summer with the Birmingham Barons is mostly remembered little more than as a failed publicity stunt, an indulgence of someone so famous he couldn’t accrue more global fame, and a punchline. This despite the vouching from his Double-A manager, Terry Francona, on just how seriously Jordan took the game and the confirmed attendance of Jordan at 6:30 a.m. batting sessions. To make a Jordan baseball joke now would be akin to playing Pogs rather than Angry Birds on your phone, but in the 90s jokes about “45” were unrelenting. (#23 was taken by current White Sox manager Robin Ventura.) Of course that tide was stemmed by Jordan’s return to the NBA and three more championships. It was that, and decidedly NOT the remarkable challenge of trying to go from one major sport to another at age 31 which cemented Jordan’s legacy as the unchallenged greatest sporting hero of my generation. But to not appreciate Jordan’s “success” in baseball is to not understand baseball. A few Revolution-related transactions became official over the weekend/at the end of last week, and unfortunately they aren’t the best news when it comes to team-building for the 2015 season. Outfielder Justin Greene will at least begin the season playing for Saltillo of the Mexican League. His signing became official on February 7. At this point, a return to York this season can only be termed as a “maybe.” Forgive the unsolicited opinion, but it’s patently ridiculous Greene did not have a spring training invite with one of the 28 organizations he hadn’t played for yet, after winning the Atlantic League batting title at .358. Some organizations, the Orioles, Angels, Athletics and Dodgers to name a few, have done a thorough job with their pro scouting, when it comes to the ALPB and other leagues. Other organizations need to step their game up. Justin Greene not having a non-roster invitation to camp this year is not his failure; it’s baseball failing him. And it’s not as if those four organizations I mentioned are just desperate for warm minor league bodies; they’ve all been in recent contention so it’s not like there’s some stigma with them doing more business with the Atlantic League. 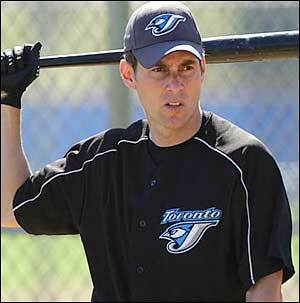 On that note, it’s not incumbent upon the usual suspects to sign ALL the ALPB prospects. For example it’s well known around these parts Baltimore is very deep in the outfield. It wasn’t their job to sign Justin Greene, but it was somebody’s. Last season, the Rays and Pirates were apparently among the most interested, but it didn’t happen. 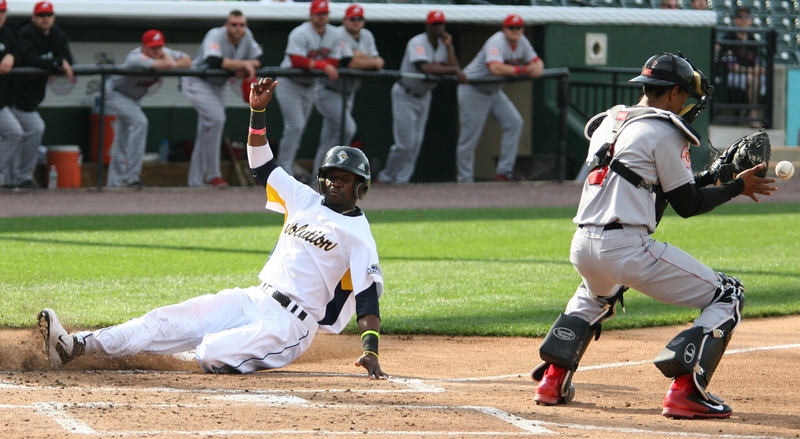 In our final installment of “Remembering 2014” this week, we re-visit the record-breaking season Revolution outfielder Justin Greene enjoyed, leading up to York’s fourth playoff appearance in five seasons, and their fifth in eight seasons of existence. As he became the first Rev to win the Atlantic League batting title, Greene also set the single-season franchise average record. Now that we’re done reminiscing about last season, next up: The first player acquisition announcements for the 2015 season on Friday! When a player hits .358, any “slumps” are swallowed up in a season full of two and three-hit nights and are awfully hard to find. For 2014 Atlantic League batting champion and York Revolution MVP Justin Greene, one slow start may have resulted in his career being taken off the fast track to the big leagues with the Arizona Diamondbacks, shifting to an unforgettable and record breaking summer detour in Central Pennsylvania. We just don’t realize life’s most significant moments while they’re happening. Back then I thought, “well, there’ll be other days.” I didn’t realize that that was the only day. Did I just start a blog post with a Field of Dreams quote? Yes. And who cares if it’s corny, because when you witness a real-life baseball moment that actually rivals fantasy – or surpasses it – it might be the only time you can legitimately go to the Field of Dreams well. The video is above of Sean Smith tying Game 3 of Freedom Division Championship Series with a solo home run in the eighth inning, before collapsing with what turned out to be a blown right ACL. If you’re reader of this blog you likely know what happens next. If not, please watch the video now before you read any further. The Revolution went on to win 3-2 in 10 innings to take a 2-1 series lead. With rally towels flying during the dramatic final act of York’s home playoff opener, in Santander Stadium we all understood it was a special moment in franchise history. What we didn’t realize was HOW special it would be to everyone else nationwide, mainly ESPN and Fox Sports as the video quickly circulated. As texts and Twitter of various front office staff began buzzing well after midnight, as fans and staffers alike retreated home to rest and anticipate Game 4 and a possible series win the next day, Moonlight Graham’s quote became very apt. After grinding out a 15-season minor league career, this will probably be the “only day” Sean Smith and the York Revolution are the lead story on SportsCenter and number 1 on their top 10. But boy did he earn it with that show of grit and determination. 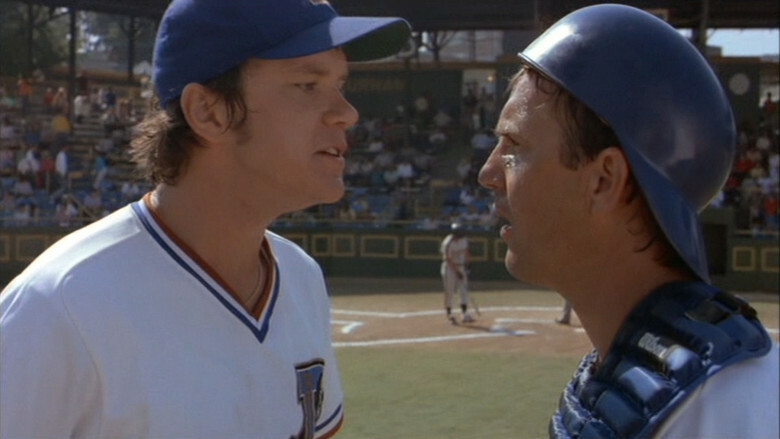 It may not be the equivalent of a day in the big leagues, but if only every player we come across fighting to make it to the Majors and doesn’t could get such a well-deserved spotlight shone on them for continuing to put their body through 150 minor league baseball games every year. It’s just a shame that to earn that recognition, Smith had to sustain a serious knee injury. He may have hit one of the bigger homers in Revolution history, but that’s what I call a sacrifice. Indeed, this video was shown on SportsCenter, at the very top of the show as their “Moment of the Night.” Smith was also the night’s “Best Person in Sports” on Fox Sports Live on the Fox Sports 1 channel. ESPN used a good portion of Darrell Henry’s call of the moment as well; very cool to see and hear that familiar voice on ESPN. (DH received a shoutout by name from SportsCenter anchor Neil Everett.) And to the 6,682 fans in the Santander Stadium playoff-record crowd, you were the truth in urging Smith on, appreciating what he was accomplishing and making that moment as unreal as it was. OTHER SHOUTOUTS: Revolution Multi-Media Manager Scott Parker for cutting and distributing the video so quickly, and Daniel Kurish of WOYK 1350 for helping to spread it around to ESPN social media and other outlets. The Atlantic League’s new Pace of Play Committee and its initiatives to speed up play have gotten plenty of ink both in league markets and nationally. The most ringing endorsement from national media has come from Tom Verducci of Sports Illustrated and MLB Network, which is nice for the league considering he is also the most high-profile baseball journalist to weigh in on the topic. Verducci hasn’t been shy before with his opinion that Major League Baseball needs to speed up its games, making his praise of the ALPB not surprising. The Atlantic League was able to reduce games to a 2:51 average over the weekend (13 games) after enforcement began. It’s average for the season leading up to last weekend was 2:59. As the new pace of play rules continue to be enforced (which Verducci outlines in his piece if you are unfamiliar), we’ll see shortly if the rules are having a significant impact over a larger sample size.